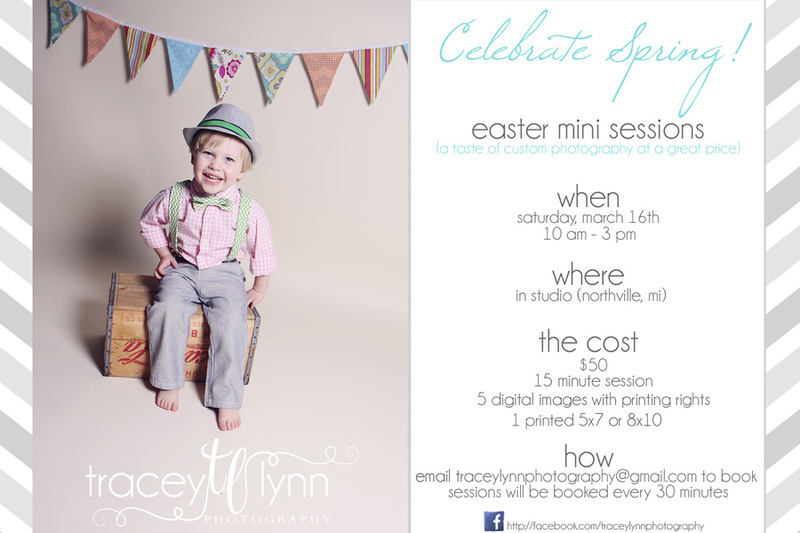 I'm excited to announce the official details for my Easter Mini Sessions! Give me a call or shoot me an email today to reserve your spot! On a side note, how adorable is my sweet little boy?! If you're looking for a great place to find ties, suspenders, headbands, and other accessories make sure to check out Trendy Little Creations on Etsy! Hope to see a lot of you on the 16th!